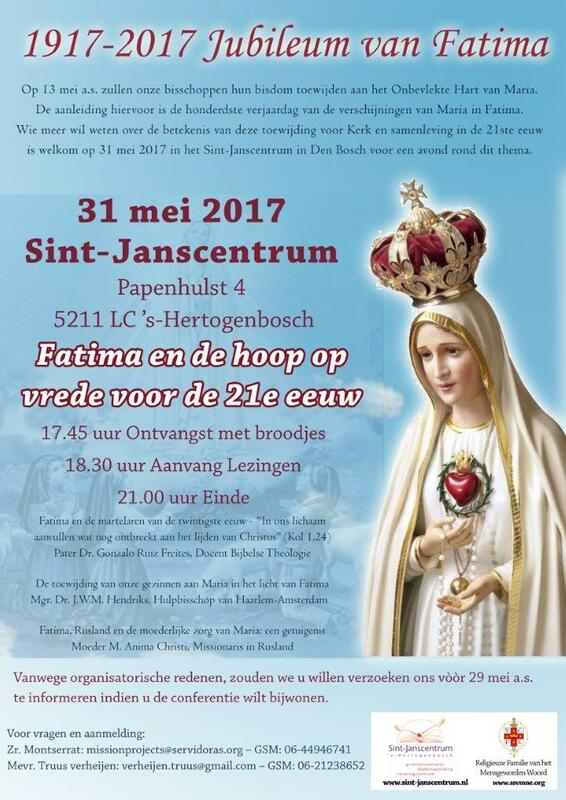 If you are interested in knowing more about the importance of the consecration to the Immaculate Heart of Mary for the Church and our society, you are most welcome to participate in a conference on May 31st 2017 in the Sint-Janscentrum in Den Bosch. If interested please see more information on this website. Conference, Fatima, IVE, Jubilee, Mary, Mother Anima Christi, Netherlands, Sint-Janscentrum, SSVM.